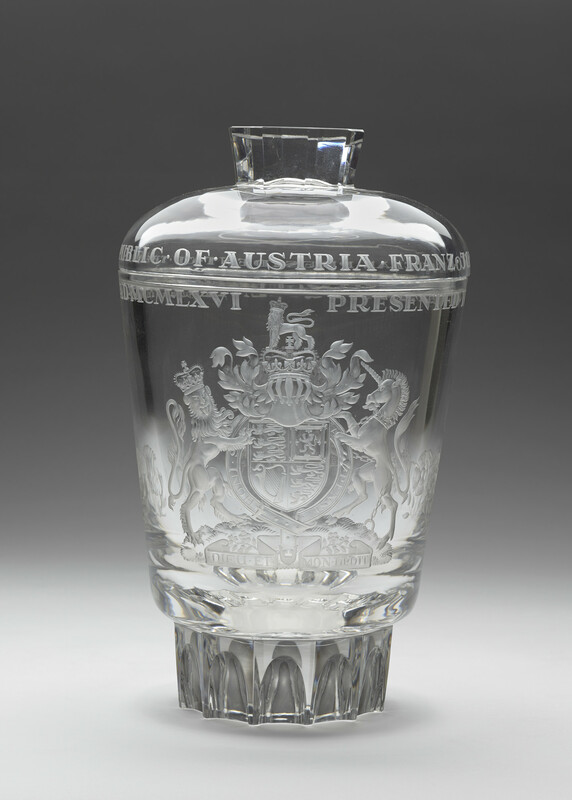 A large glass vase and cover. Body etched with Royal Arms, Crown, Eagle and emblems of leek, thistle, rose and shamrock. Lid engraved with flat finial, ER Crown and Inscription.